Billy Ray Cyrus: "Hannah Montana Destroyed My Family"
There's just no healing an achy breaky heart. Miley Cyrus caught taking bong hits on camera. Half-naked underage magazine spreads. Divorce. 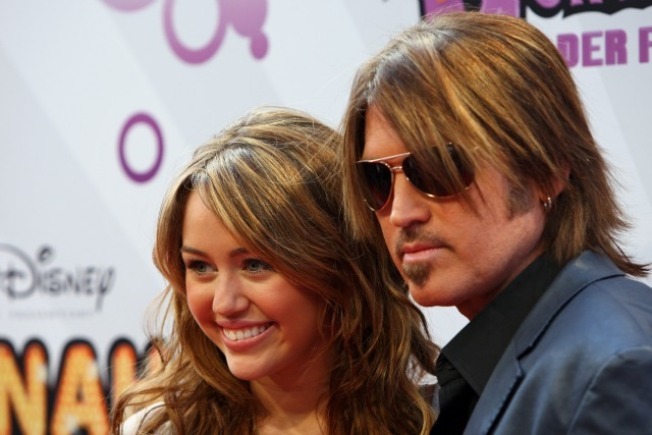 According to Billy Ray Cyrus, if it wasn't for "Hannah Montana," none of this would have happened. In an interview with "GQ" magazine, the former country heartthrob is quoted as saying he'd gladly erase the Disney Channel show from existence, believing that without it he'd have more contact with his daughter and he wouldn't be divorcing his wife, Tish. But that all stopped when Billy Ray heard his daughter was celebrating her 18th birthday at a bar. He refused to condone it by attending, and claims it was then that he started to get even more concerned. "I'm scared for her," he tells GQ. "She's got a lot of people around her that's putting her in a great deal of danger. I want to get her sheltered from the storm." When the subject of money came up, Cyrus was also quick to set the record straight about the public's perception of his role in pushing Miley into the limelight. "I want to tell you: I've never made a dime off of Miley. You got a lot of people have made percentages off of her. I'm proud to say to this day I've never made one commissioned dollar, or dime, off of my daughter."